USDA organic. Pure, nutritious, meaningful. Certified organic by: CCOF. What's in it Anyways? Organic rosewater is made from steam distilling rose petals. Our rosewater softens and soothes skin, while also reducing dryness and leaving skin refreshed. Organic Rosa Centifolia Flower Water (Rose Water). 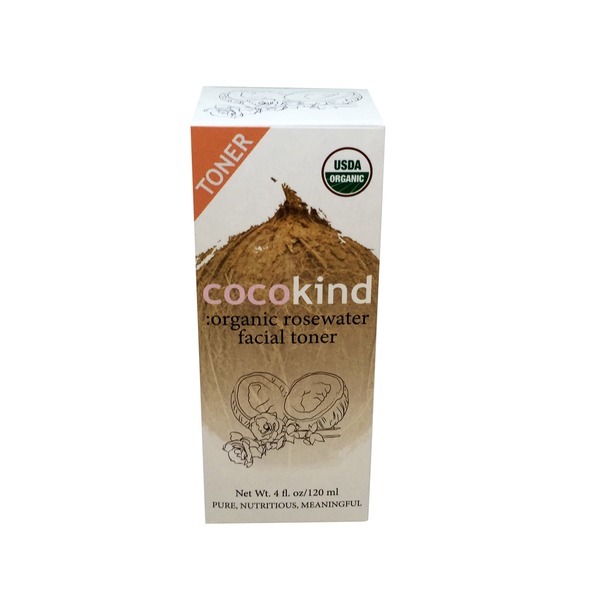 How to Use: Use after cleansing and before applying Cocokind serums. Apply a small amount to a cotton ball and gently pad over face, or spray directly onto face.